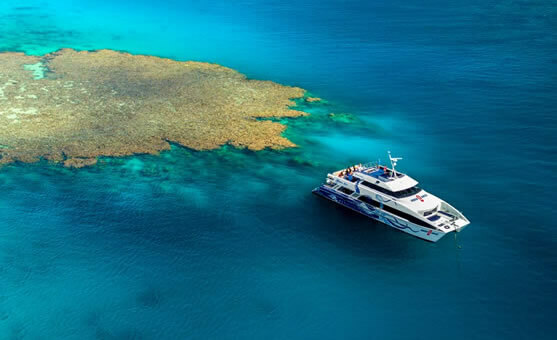 This two day tour showcases great reef locations in small personal groups of no more than 12 guests. 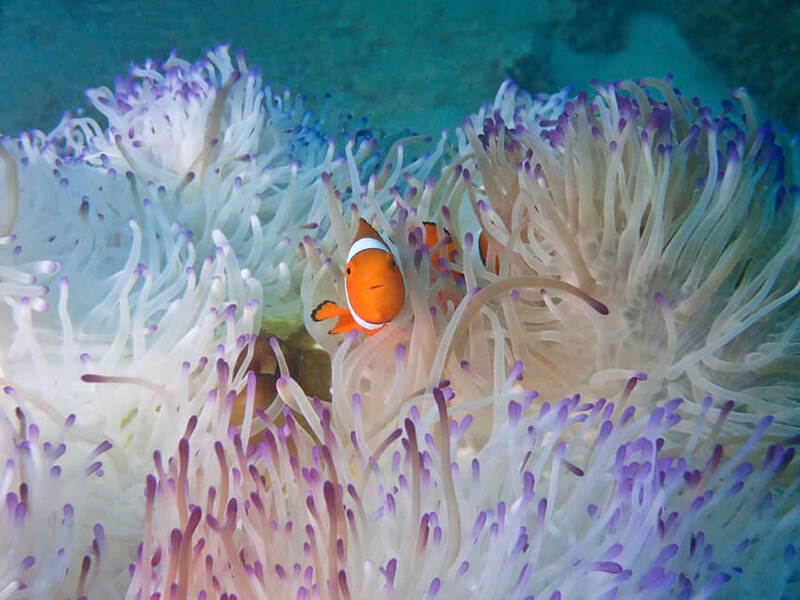 Coral Sea Dreaming owns 21 moorings at nine of the most pristine reef locations in Cairns! This overnight liveaboard visit outer reef sites such as Flynn, Milln, Tetford and Hastings Reef where you will see Barracudas, resident reef sharks, turtles, and the friendly Maori Wrasse. 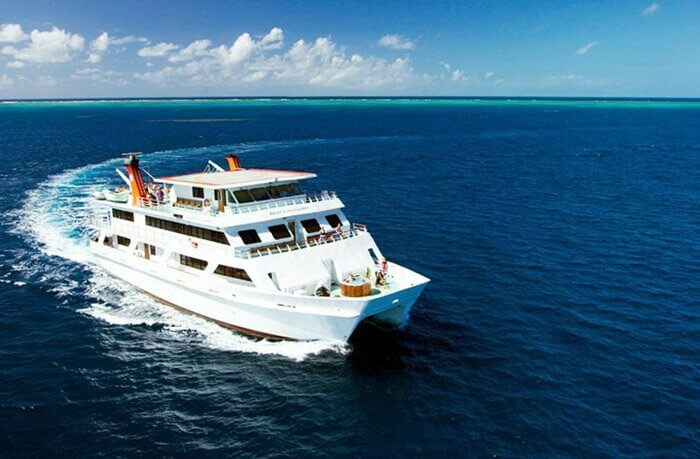 Coral Sea Dreaming also has its own dive compressor for unlimited tank refills, allowing you to enjoy as much diving and snorkelling as you want without a rigid schedule. The two day, one night sailing trip costs $440 per person in a shared cabin or $460 per person in a private double cabin. $30 levy (Port, Reef and Fuel) is additional to all prices quoted. A four dive package for certified divers costs an additional $180, and a three dive package for introductory divers costs $150. All dive equipment and full length wetsuit are supplied. Coral Sea Dreaming departs at 8:00am Tuesday, Thursday, Saturday and returns at approximately 4:30pm the next day. 4 person dormitory. All cabins have tvs and ensuite bathrooms, there is a large dining room, lounge and bar. The morning is spent on the transfer boat which offers 2 dives, if possible at 2 different locations. At 2.00 the passengers move on to Ocean Quest in time for an afternoon dive. On the second day divers have 2 more chances to dive. A night dive is also offered which means a total of seven dives throughout the trip. Dive guides are also available for an extra $15. Meals and tea are included in the price and alcohol and snacks can be purchased on the boats. Prices range from $435 for snorkelling, $505 for certified diving… plus a $20 per day reef tax. Introductory divers are welcome, and pay an additional fee per dive. The cheapest cabins are quad-share, but stateroom accommodation and twin/double cabins with ensuite are available. Padi courses are offered. Basic underwater cameras are available for hire on board this Cairns liveaboard at a cost of $70. Alternately, you could choose from the top-of-the-range and latest model digital cameras from Cairns Unlimited digital underwater camera rental for just $64 for the entire two day trip. This is GUARANTEED the best price on underwater camera rental in Cairns… AND you keep the high speed 8GB SD card at no extra cost! 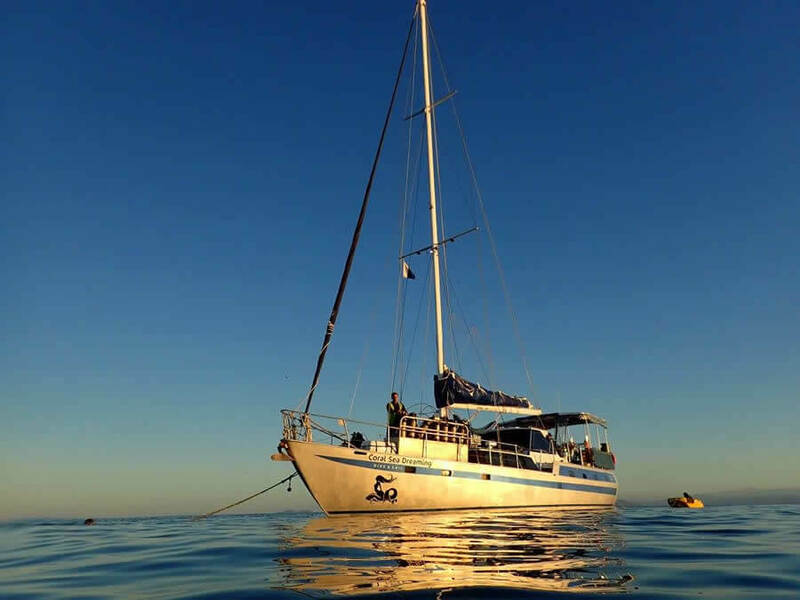 Basic underwater cameras are available for hire on board this Cairns liveaboard at a daily rate. Alternately, you could choose from the top-of-the-range and latest model digital cameras from Cairns Unlimited digital underwater camera rental for just $64 for the entire two day trip. This is GUARANTEED the best price on underwater camera rental in Cairns… AND you keep the high speed 8GB SD card at no extra cost! …OR book your liveaboard here at www.cairnsliveaboard.com and PAY NOTHING for camera rental! A liveaboard Catamaran that accommodates around 42 passengers with its 21 twin or double cabins, all with their own private bathrooms. The trip departs daily at 7:30am from Marlin Jetty, there is a bus transfer from the city and northern beaches for an extra $10 and $18, respectively. On the second day you will return to the jetty at approximately 4:30pm. available on board is a large dining room, tv room, Bar, spacious sun deck and heated spa. Also included are gourmet meals, and a supply throughout the day of tea, coffee, milo and fresh fruit. For certified divers there is a chance to take part in 5 day dives and 1 night dive. Dive equipment is included in the price apart from wet suit and dive torches which are an extra $5 each per day. Snorkellers pay from just $340 in a shared cabin; certified divers from $435 in a shared cabin. Private rooms are also available. The trip is also open to introductory divers and there is a large easy access water platform. This includes 5 day dives; an introductory night dive is available for an additional fee. If you’re planning a romantic escape, honeymoon or anniversary, Reef Encounter also offers a ‘Top Deck Club’ VIP upgrade, including superior room, valet service, champagne on arrival, breakfast served to your room, personal dive/snorkelling guid e available at all times… for the ultimate indulgence package on the Great Barrier Reef. There is also an additional charge of $15 per day which includes reef tax and the charge for visiting the reef. Alcohol, soft drinks, snacks, cameras, t-shirts and souvenirs can all be purchased on the boat. Basic underwater cameras are available for hire on board this Cairns liveaboard at a cost of $118. 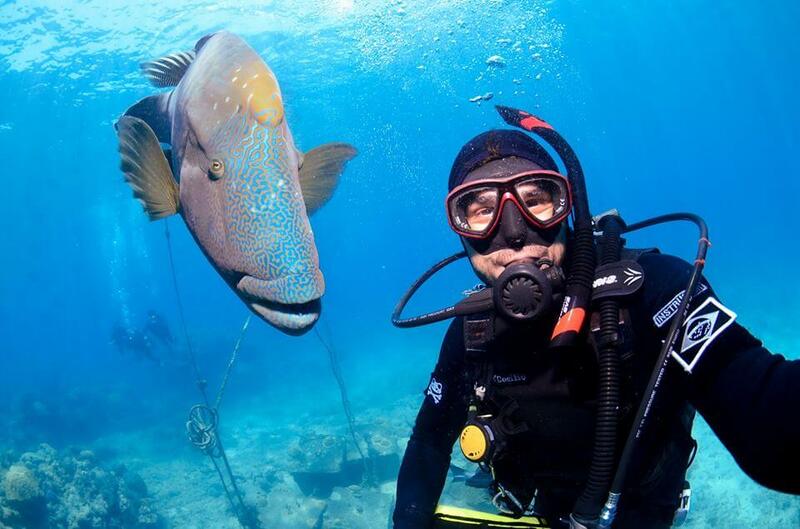 Alternately, you could choose from the top-of-the-range and latest model digital cameras from Cairns Unlimited digital underwater camera rental for just $64 for the entire two day trip. This is GUARANTEED the best price on underwater camera rental in Cairns… AND you keep the high speed 8GB SD card at no extra cost! This is a 20 metre motor sailing schooner with bunk style beds, share accommodation, share toilets and WC (shower and toilet in the same compartment), who mainly cater to the budget traveller market, doing snorkelling and diving tours, and visits around 5 different reef sites. There is a maximum of 16 guests with 4 or 5 members of crew. The boat departs Tuesday, Thursday and Saturday at 7.30 from Marlin Marina Cairns. Snorkellers pay just $400 for the overnight trip, divers a total of $580 including six dives. There is also an additional charge of $20 levy per day which includes reef tax and the charge for visiting the reef. Full scuba gear including the wetsuits is included in the price. Night dives are offered as part of the 6 dive package, you will receive a briefing before each dive and dive leaders are also optional at no extra cost. Drinks are BYO or purchased from the bar, fresh meals are prepared on the ship, which caters for vegetarians. PADI courses are offered. 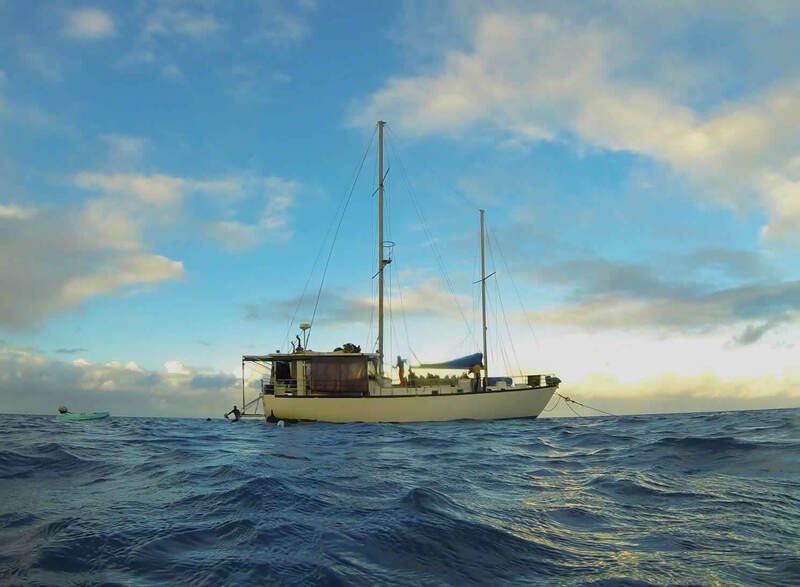 Underwater cameras are not available for hire on board this Cairns liveaboard. Camera rental will need to be organized in advance, and Rumrunner recommends Cairns Unlimited for your underwater camera rental. 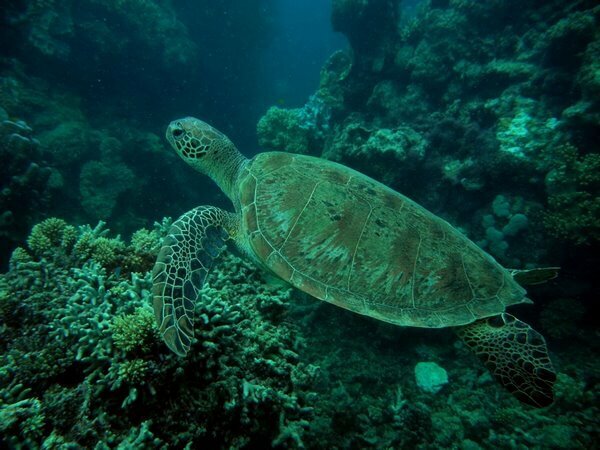 You could choose from the top-of-the-range and latest model digital cameras from Cairns Unlimited digital underwater camera rental for just $64 for the entire two day trip. This is GUARANTEED the best price on underwater camera rental in Cairns… AND you keep the high speed 8GB SD card at no extra cost! Unless you have your own dive camera, you will need to rent a digital underwater camera from Cairns to capture your once in a lifetime experience of scuba diving the Cod Hole or swimming and snorkelling with Dwarf Minke Whales on the Ribbon Reefs. Disposable underwater cameras offer poor results, and once the high cost of processing is included, are far more expensive per photograph than renting a top quality digital underwater camera. It is usually possible to rent a digital underwater camera on board the dive boat, but they can be expensive and are not always good quality. Upgrade to Canon’s latest Powershot G16 for just $4 extra per day! New – the PowerShot G16 boasts full high definition (1920px by 1080px) video with sound, full manual control and the capacity to shoot photos in RAW format. This is one for the budding professionals! However, despite its advanced features, the Powershot G16 is as easy to use as simple ‘point and shoot’. This awesome camera is available for hire with a top quality genuine Canon waterproof housing for snorkelling and scuba diving on the Great Barrier Reef. 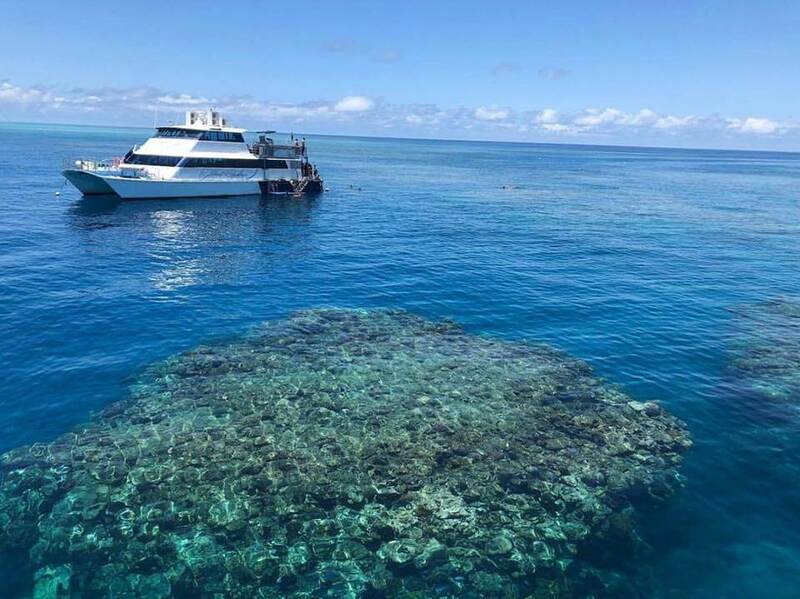 *Conditions: Book TWO people on a Cairns liveaboard through this website, and receive one digital underwater camera rental free of charge.Book ONE person on a Cairns liveaboard through this website, and receive 40% discount on the rental of a digital underwater camera. The cost of the liveaboard will be normal retail price; you do not pay any extra! All rentals are subject to the normal terms and conditions.